I bet Cristiano Ronaldo was not expecting this many rubs on crotch but it seems like his statue has and it has attracted groups of laughing men and women due to its huge, shiny bulge. Cristiano's larger-than-life tribute was unveiled at his Pestana CR7 hotel in Funchal, Portugal in 2014 and as expected, visitors would want to get a photo alongside the artwork, I mean who wouldn't right but doing so has had unexpected consequences. 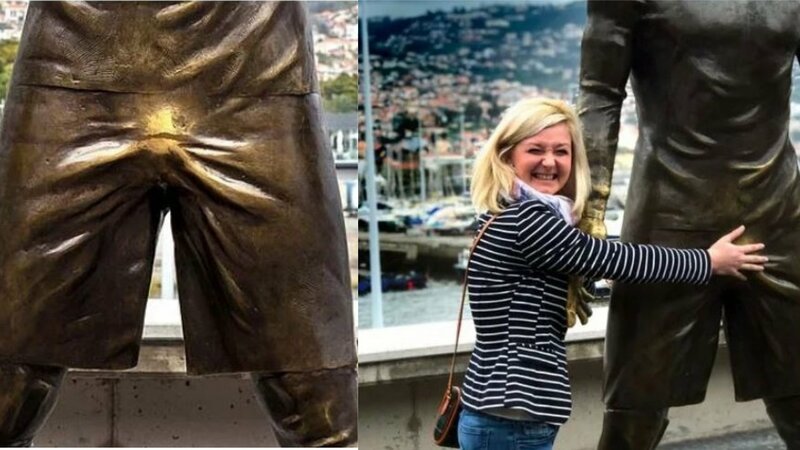 Apparently, the groin area has been rubbed so frequently that the bronze has been polished into a not so hard to miss shine.